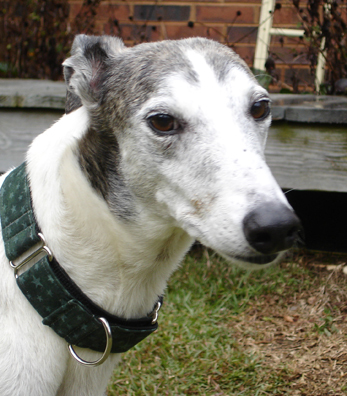 Wally is a great older guy that has been in a home so has good house manners already. He was returned to our group through no fault of his own. His family just didn't have room for him. Wally has no idea he is a senior and still runs and plays with the younger dogs and has a great time. This is a precious guy that just wants a couch to call his own and someone to scratch his head. Update after adoption: Wally's is doing well in his home and was crowned King of the Beach 2010 at Beach Bound Hounds in Myrtle Beach.